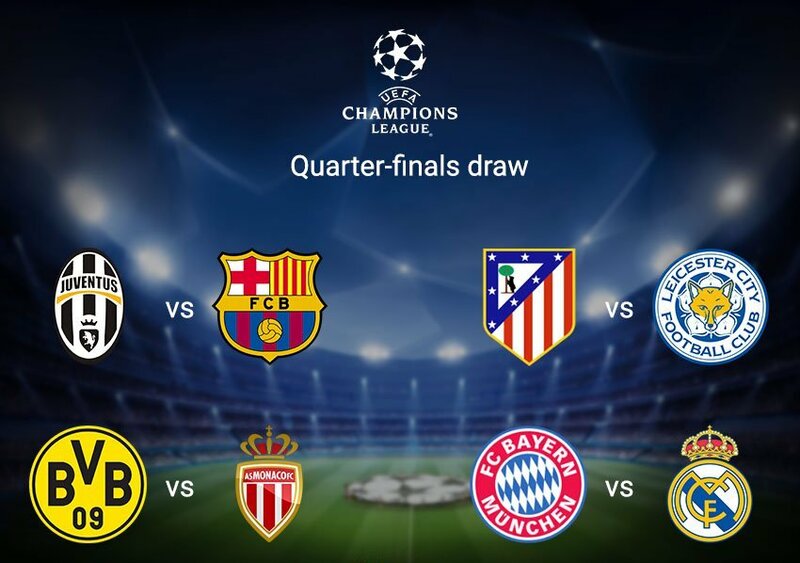 So much for having the advantage after the first leg. 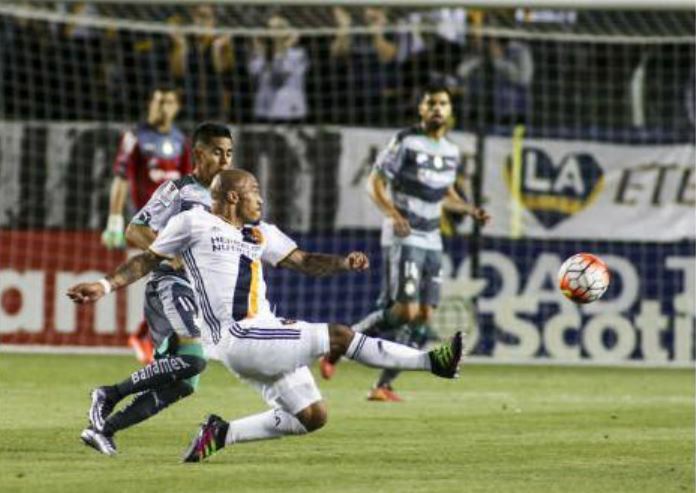 The L.A. Galaxy were bounced from CONCACAF Champions League play after a 4-0 loss to Santos Laguna on Tuesday night. After the team was so encouraged with its scoreless draw at home in the first leg of the quarterfinal series, getting smoked in the second leg just shows how much work the Galaxy have left to do. L.A. gave up two goals on set pieces, struggled to maintain possession in the midfield and failed to generate any offense. In their three preseason games and two CCL games, the Galaxy have scored a combined three goals. Two of those came in the friendly against FC Shirak. 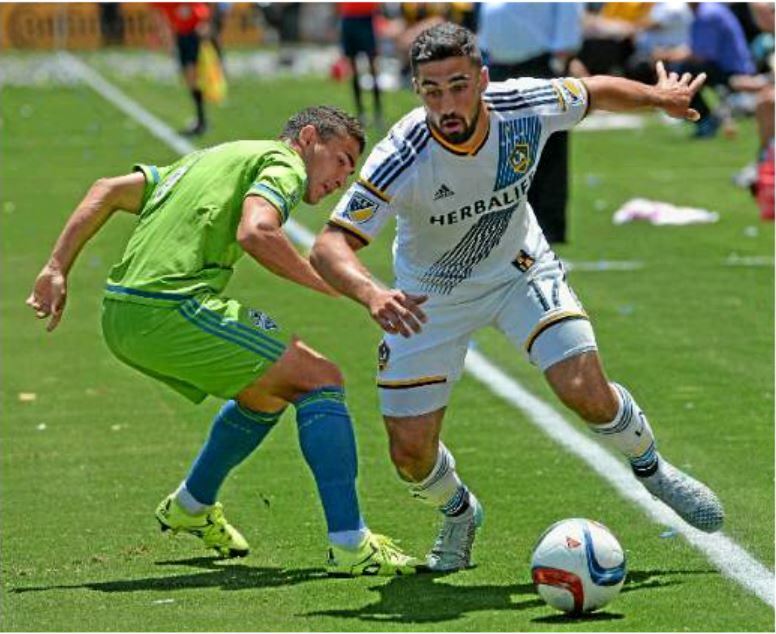 The team opens the MLS season on Sunday against D.C. United at StubHub Center at 7 p.m.
CONCACAF announced the schedule for the Champions League quarterfinals today. 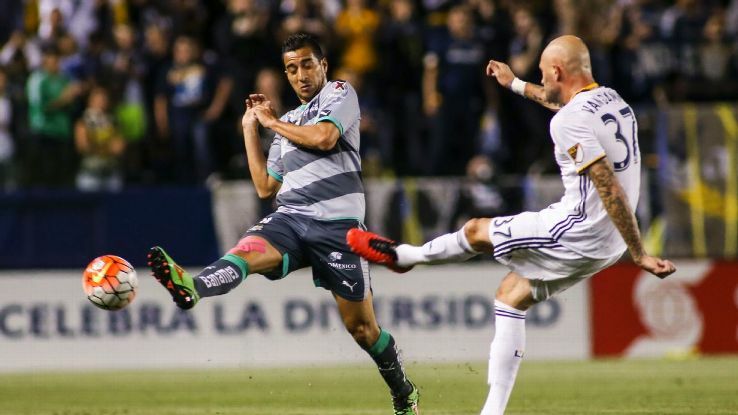 The Galaxy plays the returns leg in Mexico against Santos Laguna March 1. 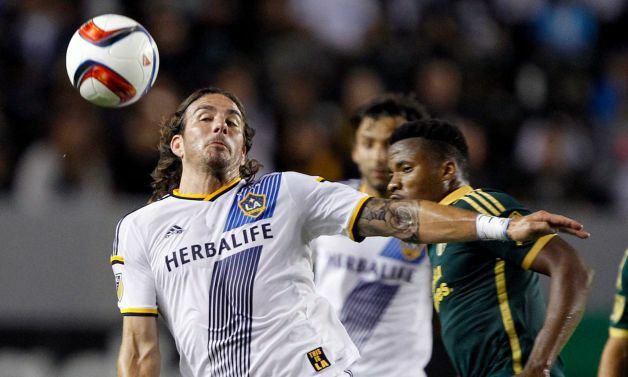 Alan Gordon, pictured against Portland, scored the Galaxy’s only goal in the team’s 1-1 CONCACAF Champions League match against Comunicaciones on Wednesday. With seconds separating them from the No. 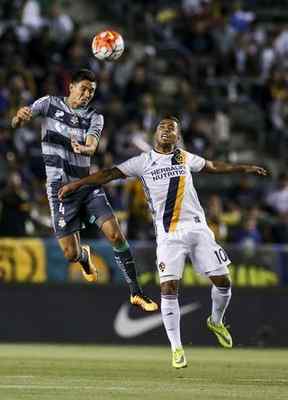 1 seed in the CONCACAF Champions League quarterfinal, the Galaxy gave up the equalizing goal to Guatemala’s CSD Comunicaciones on Wednesday night, dropping the defending MLS champions from the first seed to the fifth in next year’s quarterfinals. Rolando Blackburn tapped in the equalizer in the 93rd minute after Agustin Herrera beat both Todd Dunivant and Baggio Husidic on the right side. 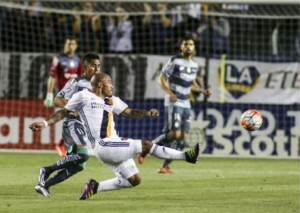 It was the third straight game in which the Galaxy conceded a goal in the 90th minute or later. The Galaxy already clinched their CONCACAF Champions League group last month, so tonight’s matchup against CSD Comunicaciones (7 p.m./FOX Sports Plus) is just for seeding in next year’s quarterfinals. 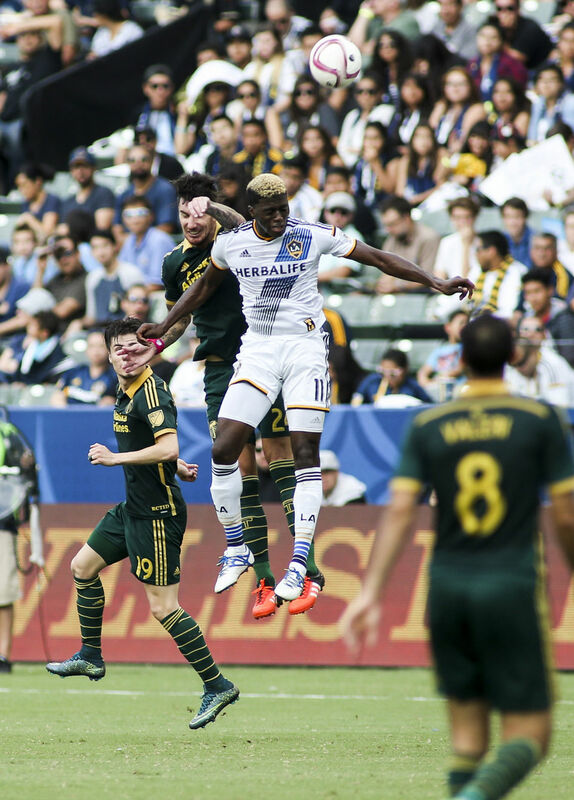 After the game against Portland on Sunday, head coach Bruce Arena said he will likely leave all the starters at home to prepare for Sunday’s crucial game against Sporting Kansas City. 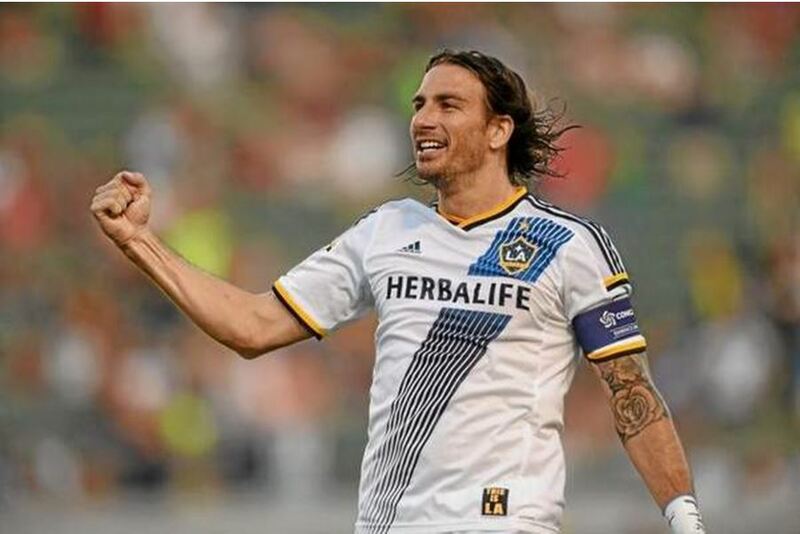 Alan Gordon scored in the 83rd minute against Central FC on Wednesday in CONCACAF Champions League play to help the LA Galaxy clinch the top spot in Group D. After conceding yet another early goal, the Galaxy got the equalizer when Gordon tapped in a pass from Raul Mendiola to hold on to a berth in the Champions League quarterfinals next year.